Western Materials offers all types of base, cobbles and rip rap. Base has many construction fill, compaction and stabilization applications in road and highway construction, around underground structures, under foundations below buildings and homes, and for drive ways and pathways to name a few. Base is usually a mix of different types of rocks and soil that provide a strong bind. 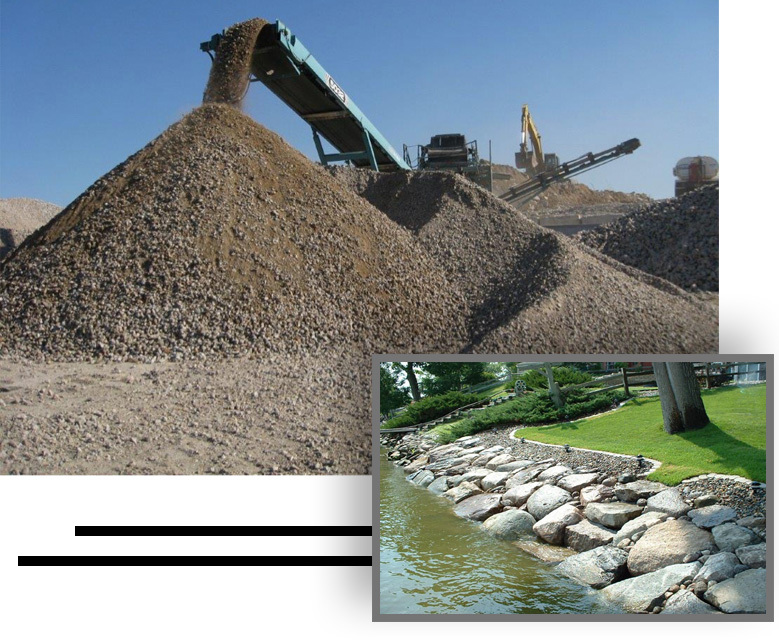 Our Cobbles and Rip Rap are used in many applications in construction such as residential and commercial landscaping, slope stabilization, containment and erosion control around roads, highways, lakes, beaches, etc. If you would like to inquire about a free quote, then feel free to CONTACT US.